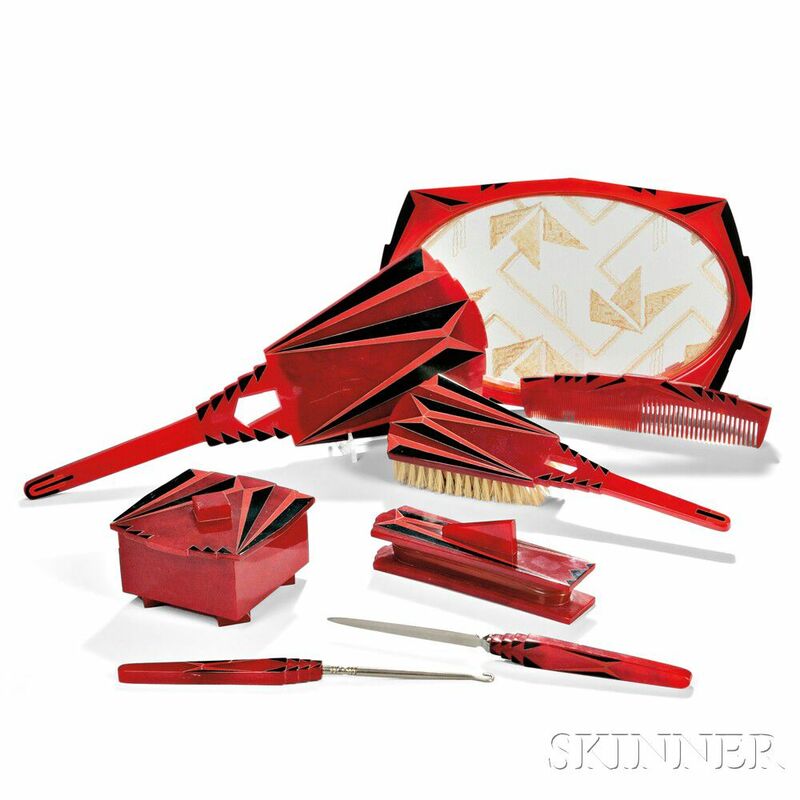 Deep red Bakelite is inlaid with triangular shapes in orange and black; the tray, the bottom formed by lace with triangular pattern held between two sheets of glass, set in oval Bakelite frame, lg. 11 1/2, wd. 7 1/4; a covered box, ht. 2 3/4, 4 1/2 x 4 1/2; a hair brush, lg. 10 1/2; a comb lg. 7 3/4; a button hook, lg. 9; a letter opener, lg. 9 1/4; a nail buffer, ht. 2 1/4, 6 3/8 x 1 3/4 in., all marked with NTS in diamond, Trade Mark, Agalin, some also marked La Futuriste and Pat. Apl'd for.